Julie has been working in the florist industry for over 30 years, owning her first flower shop when she was 20 years old. 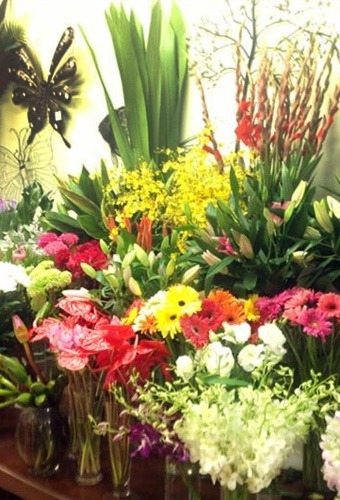 Her passion for floral design has seen own several florists throughout Sydney. Blossoms in Bloom, situated in the Narrabeen . Julie prides herself on the quality and freshness of her flowers which she buy's daily from the sydney flower market so you get value for your money. Blossoms in Bloom carry a vast range of beautiful flowers for all Occasions and Events: Weddings-Engagements - Anniversary - Birthday - Congratulations - New Baby - Get Well - Sympathy or Just because you love someone. Blossoms in Bloom also has an extensive range of indoor flowering plants, balloons,chocolates and soft toys. Award winner wedding floral designer, we arrange Wedding flowers for all budgets. I guarantee that you will not be disappointed with the quality of our flowers and service.